An HVAC system breakdown is never convenient. But getting it repaired can be! We know how awful it is to be without your heater or air conditioner. Our award-winning, NATE certified technicians will be quickly dispatched to your home or business to help get your HVAC system up and running in no time. With nearly 40 years experience in the Western Chicagoland area, we know the ins and outs of every type of system; and we can spot a problem and get it resolved before those other guys can even find your address. And we aren’t just fast, we also deliver quality service that is dependable and affordable. As a family owned and operated company, we treat our customers with the kind of respect and care that we’d like to receive. 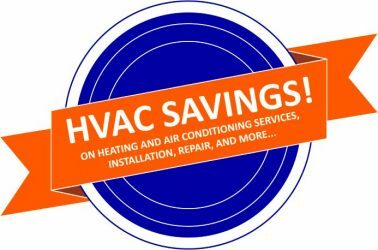 Call us at (630) 372-7640 today to get your HVAC system back on track. We are proud to say that we are factory authorized dealers of Lennox brand heating and cooling products. A long-time titan of the HVAC industry, Lennox offers top-notch products that have a reputation for long lifespans and reliability. 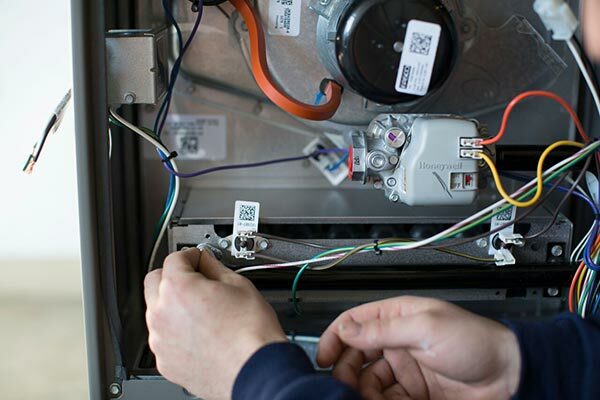 Built from the ground up by engineers and HVAC technicians, Lennox products are designed for consistent performance, energy efficiency, and easy repairs. When the time comes for an installation or replacement, Lennox is always a good choice. As a proud factory authorized Carrier dealers, we can offer you Carrier’s entire range of HVAC products while also helping you get the latest factory rebates and incentives. Carrier is one of the oldest HVAC equipment producers in the country with a history of high-quality products. With a solid lineup of everything from heaters and furnaces to air conditioners, Carrier has the products you need. Call us now to find out what options would best suit your needs and find out which incentives are available. With regular maintenance and tune-ups, an HVAC system can last a long time. However, no system lasts forever and the time will eventually come where it needs to be replaced. When you’re in need of a new installation or replacement, Bartlett Heating & Air Conditioning is the name you can trust. We start by conducting a thorough analysis of your home and current HVAC system to determine your specific needs and compatibility requirements. Then, our expert technician sits down with you to go over all our options to find the system that will best suit your needs and finances. Finally, our techs perform a white-glove level installation and ensure that everything is set and functioning properly. The vast majority of recurring problems with HVAC systems can be traced back to a poor installation. That’s why we take the process so seriously. When you choose Bartlett, you can have confidence that you are getting the best service available. 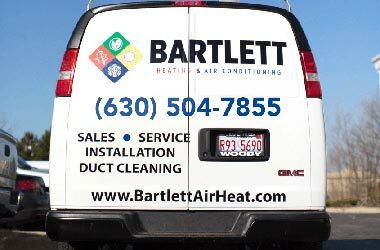 Since 1978, Bartlett Heating & Air Conditioning has been providing premium HVAC service to the western suburbs of Chicago. During that time, we have developed a strong relationship with and come to know the specific needs of Chicagoans. We take pride in the fact that we deliver unparalleled service and know how to get the job done right the first time. 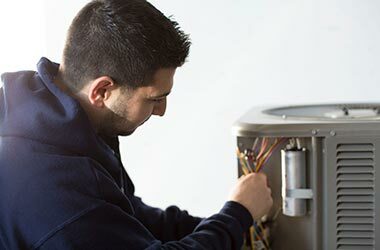 Our NATE certified technicians are trained to work on every type of system and continually educate themselves on the latest advances in heating and cooling technology and repair/maintenance techniques. It is our mission to always deliver excellence while helping our environment and community. Based out of Bartlett, IL, we cover all the surrounding suburbs including everything from Schaumburg to St. Charles to Naperville. 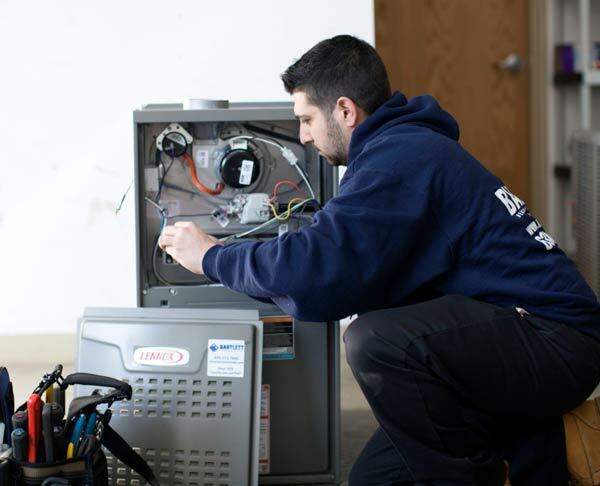 Our team has extensive training on every type of system, whether a heater, furnace, or air conditioner. And as authorized Lennox and Carrier dealers, we can offer the best HVAC products at affordable prices and with factory rebates. Perhaps best of all, we don’t have salesmen. That’s because we are committed to providing superior service and expert advice – not just a sales pitch. Since our founding, our customers have come to recognize that with Bartlett, you get family treatment and professional service – every time. 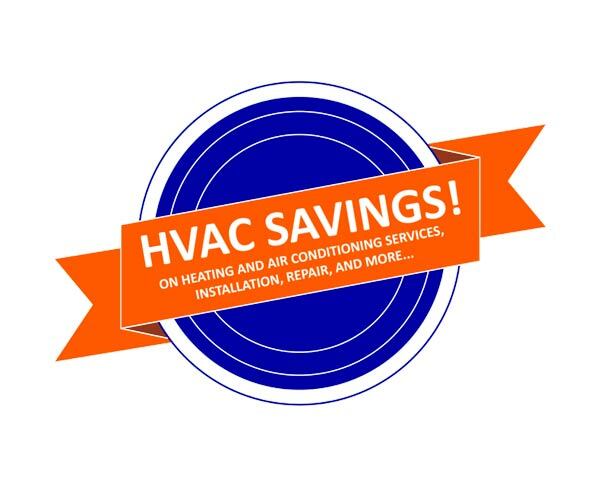 Having been in the business for a long time, we understand that HVAC systems are not always exactly cheap. And the need for a replacement doesn’t always come up at the most convenient time. That’s why we regularly run promotions and provide coupons so that we can give our customers the work they need without having to break the bank. We are always offering new specials, so check out our promotions page or give us a call at (630) 372-7640 to find out what we can do for you today! We were not easy customers in fact we were downright demanding, but Bartlett Heating And Air Conditioning stuck with us and delivered on time and on budget. Thanks guys!